A lot of people we admire harbor quite a bit of respect for Ron Paul. And indeed, the paleolibertarian Paul has occasionally said intelligent things, and has rather frequently come across as a voice of reason in Congress. Fine. For the purposes of this Encyclopedia, Paul’ political commitments are not the issue, and even granting for the sake of argument that he has been an overall positive force in American politics, we would have a duty to point out his lunatic side as well. Since he is a religious extremist, Paul does predictably not have much of an aptitude for science. He is, for instance, a creationist, dismissing evolution as “just a theory” that he does not accept. He is also a climate change denier. More notably, Paul – an MD – is a heavy promoter of all sorts of medical woo, and has predictably defended the Health Freedom Protection Act, which basically says that quacks should be allowed to lie to their customers without having to fear being held responsible (there is a fine discussion of Paul the quack enabler here). He is also member of the batshit crazy wingnut Association of American Physicians and Surgeons. He is also fond of crazy conspiracy theories, for instance claiming that there is a plot to eliminate American sovereignty and form a single union with Canada and Mexico (yup, the NAFTA superhighway conspiracy); apparently George Bush and Rick Perry are both part of that conspiracy. That theory may have replaced his previous theory that the United Nations is going to take over the Untied States, take away their guns and do away with the Constitution and American currency (which he claimed in this John Birch society-produced video), but who knows. Diagnosis: At heart a doddering, old, deranged theocrat. There is no way around that conclusion. Hahahaha! So, Ron Paul is a loon, eh? Could have fooled me. Yes, he's a staunch constitutionalist. Yes he has military experience. Yes he's a doctor. And, you know what? Unlike the other members of government, he has actually never violated any one of the three oaths he has sworn. He has never broken any laws. Maybe because he's honest, he is unlike the crime bosses that work inside the federal government (one of the largest crime syndicates in the world) and maybe he is odd, but he surely is not a loon. Whoever called him a loon is the loon. I love you people! You see that Ron Paul gets an entry, then move straight to comment on that entry, without actually reading any of it. If you had, you would have seen that every one of the points you make is entirely beside the point. Paul is a creationist, a global warming denialist, and is seriously into quackery - as well as, arguably, a dominionist. *Dishonesty* is not lunacy, and *honesty* is not the opposite, and the purpose of this blog is not to call out dishonesty or even criminal behavior, but to call out anti-science, pseudoscience and flaws in reasoning. Paul qualifies, whatever other qualities he might possess. You love me. Gee, that's great. It's too bad you don't have a clear head about things political, historical, logical, and legal. For you to criticize a man you are politically opposed to, and create insignificant charges against him - charges which have nothing to do with the job we hired him to do, shows your own ignorance and misguided view of life. Look, when we had a government that worked for us (sometime before the current crime syndicate usurped the federal government), we hired or elected people into government to defend and protect our freedoms and liberties, and to perform a few other limited jobs as specified in Article 1, Section 8 of the Constitution. Ron Paul abided by these rules while he worked in congress, and I defy you to identify any liberal member of congress who can make the same claim. There are none, and you know it. So, take your phony, irrelevant charges against a good man and stuff them. Have a nice day. We're done here unless you can clear your head and talk some sense. Well, you still don't seem to grasp the purpose of the entry; otherwise you would presumably have understood why everything you say is *still* completely irrelevant to whether or not Ron Paul deserves an entry here. And what on earth in the post suggests that I disagree with Paul politically? (I do, but I have written similar posts about people I agree with politically as well.) I do have a clear head about things political, historical, logical, and legal - at least you have given me no reason to think otherwise - which is why I can identify flaws in people I would otherwise think were on "my side" politically. The fact that you are offended when I point out flaws in a guy you admire makes me wonder whether you have a similar clear head, however - especially since you go on to repeat all the information I already pointed out was irrelevant, without giving me any new reasons to think it is relevant. Is what you are trying to say that since Paul is an admirable person, we should overlook his flaws? Indeed, the flaws I describe are pretty significant flaws - I notice that you assert otherwise (that they are insignificant), but his crazy beliefs do influence the job Paul is doing as well as other projects in which he is involved (e.g. the homeschooling curriculum project mentioned above). Idolizing Paul to the extent that you overlook these flaws or try to convince yourself that they're insignificant is not particularly suggestive of a healthy attitude. I wasn't offended, and I don't idolize Ron Paul. I treated your subject from an intellectual level, and I tried, but obviously failed, to get you to see the important aspects of Ron Paul, not the irrelevant side issues that you broached. My point is that the alleged flaws you describe have nothing at all to do with the man's success as a representative of his constituents. He did a good job for the people he represented, and he's still doing a good job teaching others about his observations in life. You can either deal with his actions, or you can continue to go off on a tangent as you have done. So, why are you so focused on identifying people's flaws? 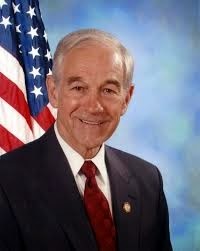 Has Ron Paul done something that has effected you directly? Has his position in life hurt you in some way? Has he broken some laws that you are aware of? And, as an aside, do you ever show the flaws of the criminal fraud and usurper in the mulatto house, or does he get a pass? How is it that you are not focusing on the criminals in government, rather than the people many would view as patriots? Ok, that's better. The *purpose* of this blog is to expose anti-science attitudes and critical thinking failures. Deception, fraud and criminal behavior are something completely different; there are plenty of blogs and outlets out there devoted to those issues. Ron Paul, however nice and idealistic he may be, has also put substantial resources into anti-science and denialist efforts, and continues to do so. And that is rarely pointed out, but needs to be pointed out, completely regardless of whether his overall contribution to American politics is positive or not. I haven't observed any similar denialist attitudes or critical thinking fails in Obama. To be fair, the reason many politicians get a pass is because they don't really ever say anything substantial whatsoever, so there is no room for calling them out on such flaws. Just out of curiosity (and completely tangential to the issues under discussion): what, precisely, is the rationale behind the "criminal fraud" and "usurper" epithets (I am asking since when people say that it usually - unless I am talking to a conspiracy theorist or birther - boils down to "I disagree with the policies", which is very different than actual criminal fraud). Has it occurred to you that the reason Ron Paul has Gary North on board with his homeschooling program is that North is willing to work cheap and possibly for free? North's website has tons of books available for free download. North married into the wealthy Rushdoony family, and whatever else one might say about him, he doesn't need the dough. My point: it doesn't follow decisively from North's involvement with just one of the things Ron Paul has going on that he (Ron Paul) is a "Dominionist." Incidentally, as a person who used to teach in a public college and saw first hand the mass illiteracy public schools have been turning out for the past three decades, if Christian homeschooling programs can turn out "graduates" who can actually name the four rights enumerated in the First Amendment or find Washington D.C. on a map or even put a coherent English sentence together, more power to them! I rather suspect, though, that those with real power would find this sort of disputation amusing. They couldn't care less about "Dominionism" or anything Christian because they know it isn't a threat to the oligarchy that is running the U.S. into the ground. (If you think America isn't an oligarchy, then go here. G.D. Regarding obama, I look at things from a fraud examiner perspective, and when I see repetitions of 'mistakes' or 'errors' I suspect fraud. If you have done any fraud examination studies, you would have picked up on the same style of questioning. obama appears as a classic fraud. Regarding the usurpation charges, obama is not the first usurper we have had. The first one was Chester Arthur, and he too was a lawyer, and he too destroyed all of his personal records in order to hide his usurpation. obama is a classic fraud and usurper. If you doubt my comments, perhaps you can show us all how obama is a natural born citizen, and that the elections in 2008 and 2012 were legal elections (each had over 35 million too many votes cast and counted in an election system that is impossible to audit). Steven Yates, thanks for your common sense comments. You went further than I felt inclined to do in my comments, and for that you appear to be a better man than I. The Dominionists have more influence than you give them credit for, and there are plenty of people in Congress - and even more, of course, at the state level - who have pretty solid ties to the movements; few if any people in Congress could actually be called dominionists, I suppose, but it is hard to deny that they wield some influence. No, dominionists are not on the verge of taking over government, but is that really the level of power someone has to have before they are considered dangerous? The fact that people in Congress even lend them an ear is scary enough (and they do). The influence of the Discovery Institute isn't insidious because they are on the verge of replacing biology curricula in public schools all over the US - it is insidious because their propaganda work actually has some impact; states do adopt their "Teach the Controversy" policy, and they have a pretty strong voice in the public discourse. That said, I admit that the Dominionist connection is somewhat speculative in the case of Paul, though there is too much circumstancial evidence floating around not to point it out. "Has it occurred to you that the reason Ron Paul has Gary North on board with his homeschooling program is that North is willing to work cheap and possibly for free?" And why on Earth would that be relevant? The point is that North *is* working for Paul on developing the homeschooling curriculum, and that homeschoolers *will be* using materials he has designed. If Paul cares so little about the actual contents of that curriculum that he allows North on board simply because North is cheap, then isn't that even worse? Of course, if your point was that the connection doesn't prove once and for all that Paul is a dominionist, then that is fair enough. But even if he isn't, just the fact that he enables them is bad enough. "f Christian homeschooling programs can turn out "graduates" who can actually name the four rights enumerated in the First Amendment or find Washington D.C. on a map or even put a coherent English sentence together, more power to them!" Now, this isn't a discussions of the merits or drawbacks of homeschooling in general, but being able to name the rights isn't everything a citizen of the US should be able to do upon graduating. And certain homeschooling curricula are spreading misinformation that actually does have real, negative impact. More than creationism, global warming denialist (most vocally on the right) and anti-GMO efforts (most vocally on the left) have real, significant, detrimental impact. And the misinformation among the public will of course influence policy decisions. Yes, there are significant challenges in public education, but replacing the curriculum with wingnut or moonbat anti-science propaganda is not the way to go and will, I submit, be bad, even if they are able to name the rights. "... the oligarchy that is running the U.S. into the ground"
Well, I agree that the influence of corporate US on the organization of society is a serious worry (I have no idea how Paul's policies would remedy that, but that's a different discussion). But I think where we really disagree is over the presupposition you need to commit to for the last part of that sentence. No, America isn't being run into the ground; these are not the end times, and things are getting better, not worse. One major threat to that progress is the types of denialism I just mentioned - creationism, but more obviously health freedom and global warming denialism - and these are brands of denialism that Paul, in fact, supports. There are others, and perhaps more significant ones - the influence of money on politics being an obvious candidate - but those problems I leave for someone else to blog about. I am not trying to change the whole world, just bring some light to certain murky corners of it. HighlanderJuan: Your current comment confirms a suspicion that was suddenly raised in your previous comment. Thank you for participating. Yates's 1st paragraph: "I even had a pastor tell me that the reason he couldn't vote for Ron Paul was that Dr. Paul hadn't unequivocally declared homosexual conduct to be a sin." You do see the problem here, don't you? (Hint, not "unequivocally declared homosexual conduct to be a sin" isn't good enough). Yates's third paragraph: The problem is that North is working for Paul on developing the homeschooling curriculum, and that homeschoolers will be using materials he has designed. That doesn't prove that Paul is a dominionist, but it does show that he enables them. Yates's fourth paragraph: A red herring. Or is your argument supposed to be that since there are problems in public schools, homeschoolers should be encouraged to put all sorts of quackery, denialism and crackpottery into their curricula? That this would be a good thing? If that's not your argument, then the whole paragraph is a red herring. G.D. your response indicates to me that you are blind to the truth. Have a nice day. Yes, we are done here. "No one is arguing that Dominionists are in any kind of control over American politics. That's not the measure of negative influence. A single creationist who manages to sow doubt in a single person has had a negative impact on society." This one comment speaks volumes. You don't see the irony, do you? This is exactly the mindset of the theocrat, or (absent a God or god) the authoritarian who wants total uniformity of opinion and sees anything else as in some mysterious sense threatening (your word, on practically every entry on this site: "dangerous") -- no matter how small they are (reiterating: "a single creationist ..."). Sorry, but that's not how a free society works! Not that the U.S. is a free society, but that's another conversation; Ron Paul just happens to be one of those people who would like to go back to freedom. I recommend John Stuart Mill's On Liberty. Scroll to the paragraphs in Chapter Two "On the Liberty of Thought and Discussion" for detailed arguments why censorship of whatever form is a bad idea. With that said, I too must attend to other things. What on Earth are you talking about? A free society means that everyone should have the right to think whatever they want without persecution. No one here wants anything else. In particular, no one is denying anyone their right to believe whatever they want, and no one is advocating censorship. But a free society doesn't mean that you have the right not to be criticized, or called out for your crazy beliefs. Or are you seriously saying that we ought to refrain from criticizing crazy beliefs or showing them why they are crazy? Let me spell this out clearly to you, Yates, since you are obviously laboring under a disconcertingly common delusion: *criticism is not censorship*. Calling out people for crazy beliefs and pointing out that these beliefs have an adverse influence is not censoring those people. And trying to prevent these people from having an influence *by educating their target audiences* is not violating any of their rights or liberties. If in the empire of lies truth is treason then reason is insanity. Maybe instead of relying on straw man arguments and guilt by association to paint people as "crazy," you should seriously learn about the the issues you desperately cling to as your identity. It is clear you have 100% faith in governments and their "screeds," as you like to call them, despite the voluminous material that directly documents generations of corruption, genocide, propaganda, and lies to the public about it all. To still place your faith in this kind of political paradigm, especially the version you purport to support (statist for life), is no less crazy than what any man believes and holds his faith in. P.S. you're a tool for having preapproval on comments... Just shows how committed to the Truth you are. Why do leftists constantly describe people they disagree with as "batshit crazy"? Using the same term gets old real fast. Leftists are now using "white supremacist" because "racist" has lost at least some of its sting from overuse. Interesting revisiting this site after all these years. Seems to me the meltdown of U.S. politics over the past 3-4 years indicates that Dr. Ron Paul was the last stateman the U.S. will ever produce, & that associating him with some leftist-originated conspiracy theory called "Dominionism" was & is frivolous. I claim vindication.